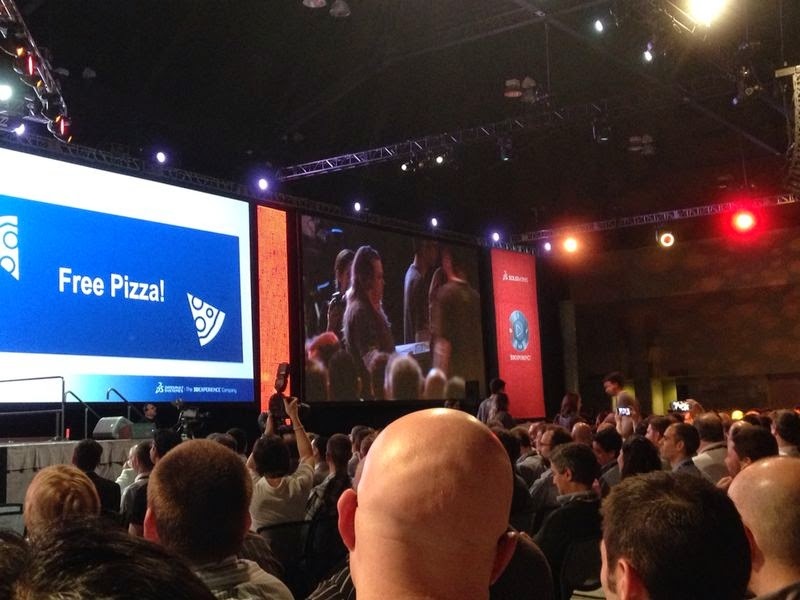 The excitement continues on day 3 for SOLIDWORKS WORLD 2015, albeit the jet-lag of 15 hours. Design thinking is something I have been exploring, it helps a lot in problem solving. It helps engineers and designers produce products that solves problems for the consumers in creative and innovative ways. Something new I've learnt today is "Experience Thinking". 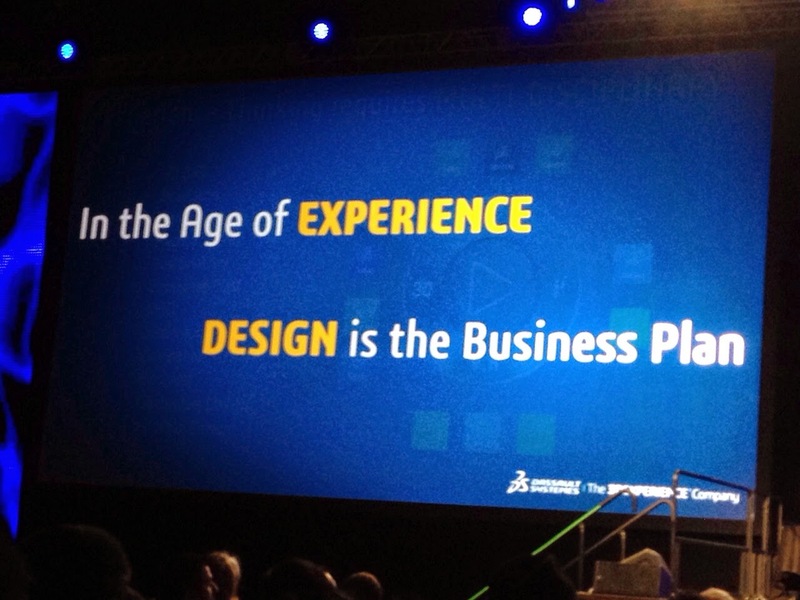 Monica Menghini, EVP, Chief Strategy Officer of Dassault Systemes highlights how design thinking is no longer sufficient, and in the Age of Experience, we need to be designing for customer experience. Today's session started with something very close to our hearts - the SWUGM (SOLIDWORKS User Group Meeting) that we have always wanted to start in Malaysia. Richard Doyle shared with us 10 benefits of attending a user group meeting - and top one is of course - free pizza. If you would tell me what topic we should talk about for the first user group meeting in Malaysia, how about if we let you decide what free food we'll provide? We then talked about something again very close at heart for me - women in engineering. It reminds me of the uni days where I'd be the 0.1% female in the class, and the Women in Engineering conference I'd attended organised by IIWE (International Institution of Women in Engineering). Why is this an important topic? 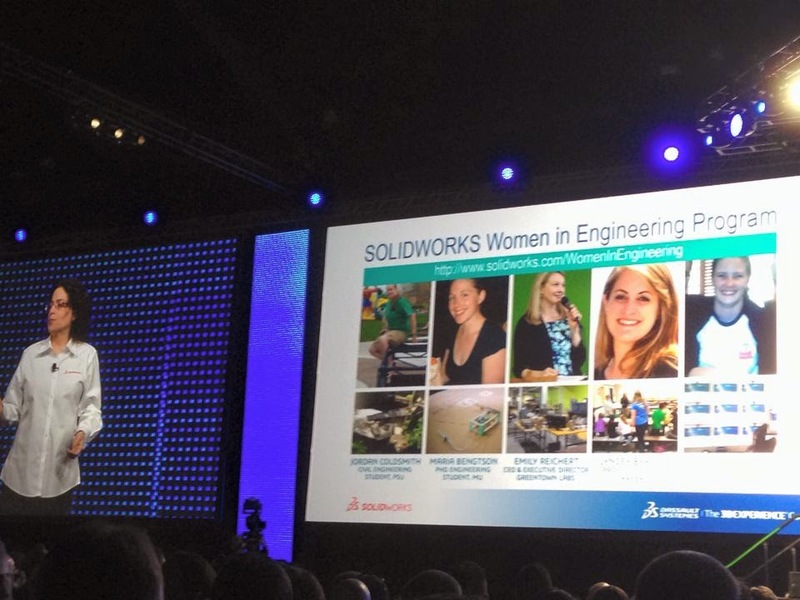 As much as the support to the Academic sector, SOLIDWORKS supports Women in Engineering through the SOLIDWORKS Women in Engineering program that educates, encourage, and recognise outstanding women in the male dominant industry. 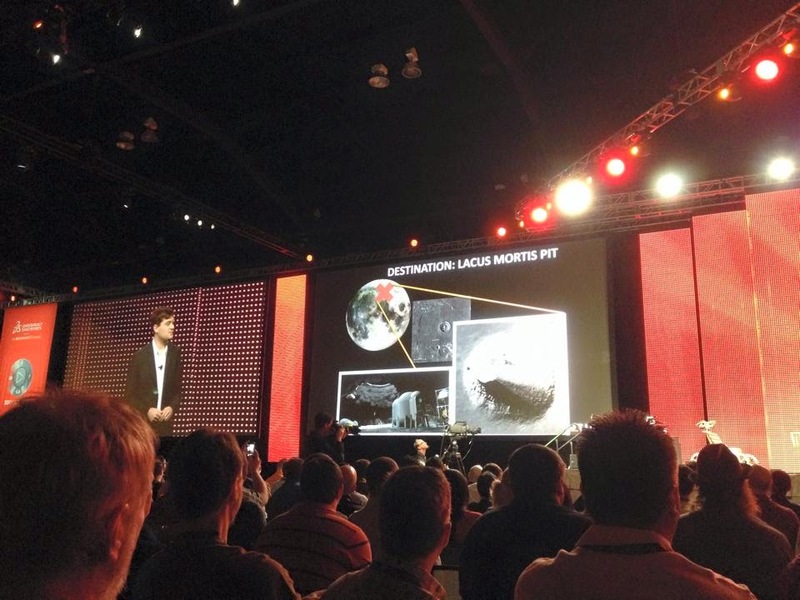 Great stories and inspiration just never stops at #SWW15. We next met with John Thornton , CEO of Astrobotics who walk us through their wildest imagination of a business model to do a “delivery service” to the moon. The idea is to send whatever things whoever wants to the moon to do whatever they could imagine there. One of the ideas was also to explore some cave (Lacus Mortis Pit – lake of death) on the moon, to potentially find suitable place for human habitat. If you are interested to send a message to your loved ones for Valentine ’s Day, literally “I love you to the moon and back” – check out their website HERE. 1. We all know Google glasses. What about smart contact lenses which will be able to tell you the name of this person you met 2 years ago at SOLIDWORKS WORLD, along with all the biodata information? (I know I need this because I’m terrible at remembering names, to avoid the awkward moments of “Hi *trying hard to recall name*….”. 2. Long gone is the Mass Production era, we are moving towards the “Mass Customisation” era – made possible through 3D Printing. How would you like to be able to personalise and 3D print everything, including bio parts like your ear, organs, replacement valves and etc. 3. Computer screens as thin as papers and being used as wallpapers. Since they are computers, you could show anything on the wall and change as frequently as you may like. What about consulting a robo-doctor or robo-lawyer on your wall? 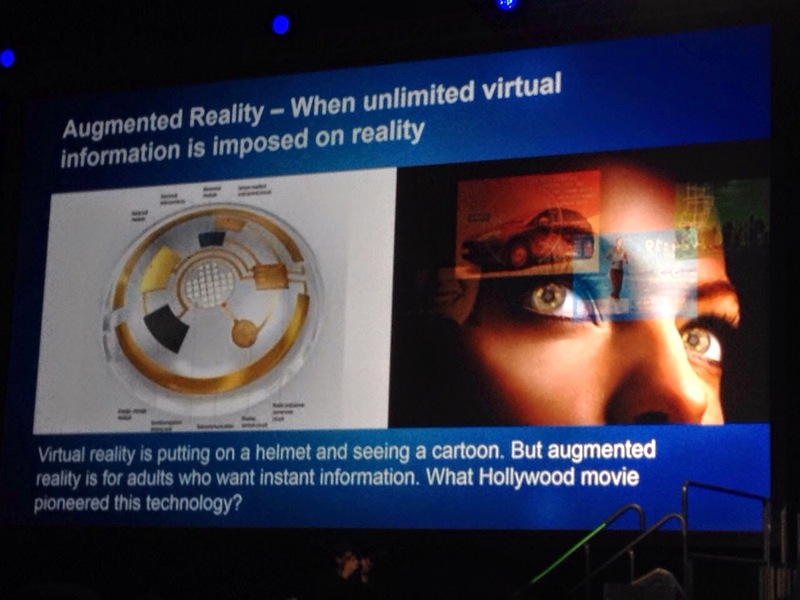 The possibility of computing power and Artificial Intelligence, Augmented Reality is limitless and beyond our imagination. I was truly amazed and inspired by this group of wonderful people who have their dream and purpose, and they are not afraid to pursue it. Don’t let anything or anybody stop you from dreaming and wanting to make the impossible become I AM POSSIBLE. Hope you enjoyed todays recap and feel free to share with us some stories that inspire you too!